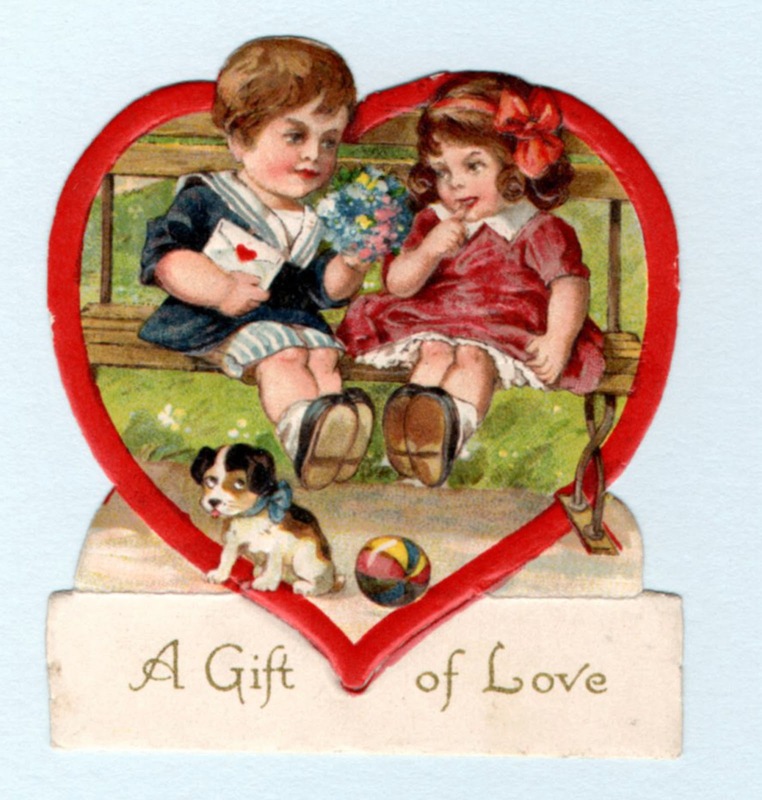 Dan Cupid is a highwayman Who makes poor lovers pine, But I will give my heart to you. My Darling Valentine. 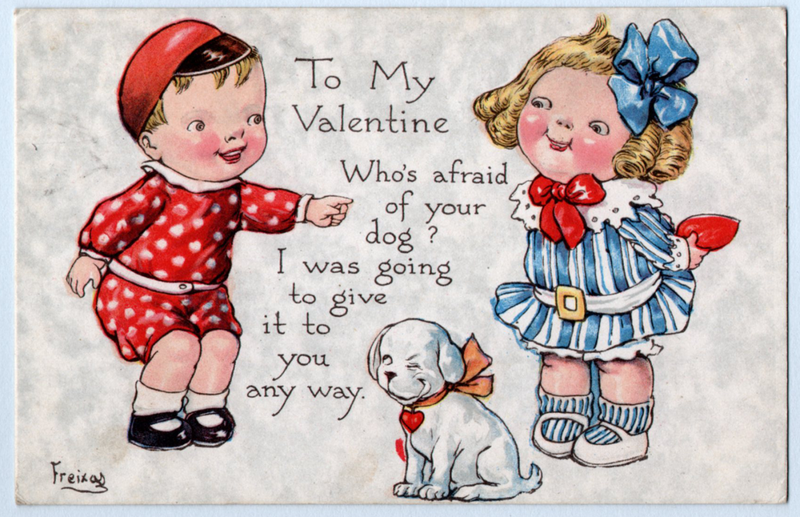 To My Valentine Greetings Who's afraid of your dog? I was going to give it to you any way. Jason Freixas, like Katharine Gassaway, is another of the much-collected postcard and valentine artists about whom very little is known. It does seem to be a fairly common recurring theme. 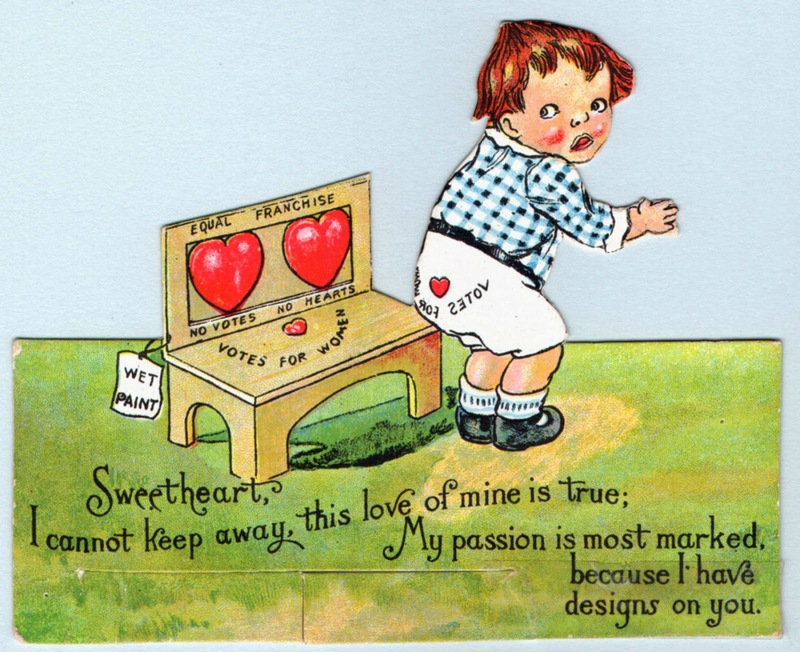 Perhaps it was a lack of respect for the work of ephemera artists because of its commercial nature? Perhaps just different times with much narrower public interest in the private lives of publicized names? For whatever reason, though he was very successful, selling quite a number of cards, interest in the man himself while he was active was quite limited to non-existent. Such basic information such as birth and death dates are unknown. He is said to be Canadian-American in some sources, but I have not found any concrete information to support this or any particular heritage. His work for John O. Winsch is probably his most popular, with his Halloween cards for Winsch topping those. There are dimensional cards that combine the artwork of Freixas with another popular Winsch artist, Samuel L. Schmucker. 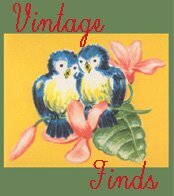 While there are die-cut cards that are said to have been published by Winsch, these do not bear the company name. Only a few of his cards were signed by Freixas. 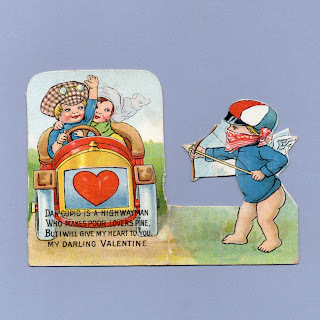 9 1/8" x 6 5/8"
Like many of the card illustrators covered in The Valentine Museum, children were Frexias's main subject. 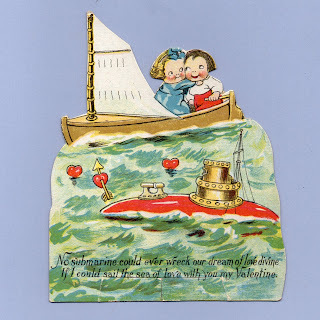 Some of his figures, such as those seen in the Gibson postcard at the top of the page, can bear a remarkable resemblance to the work of Grace Drayton. Careful consideration of the faces, paying great attention to the eyes, can help distinguish between the two artists. 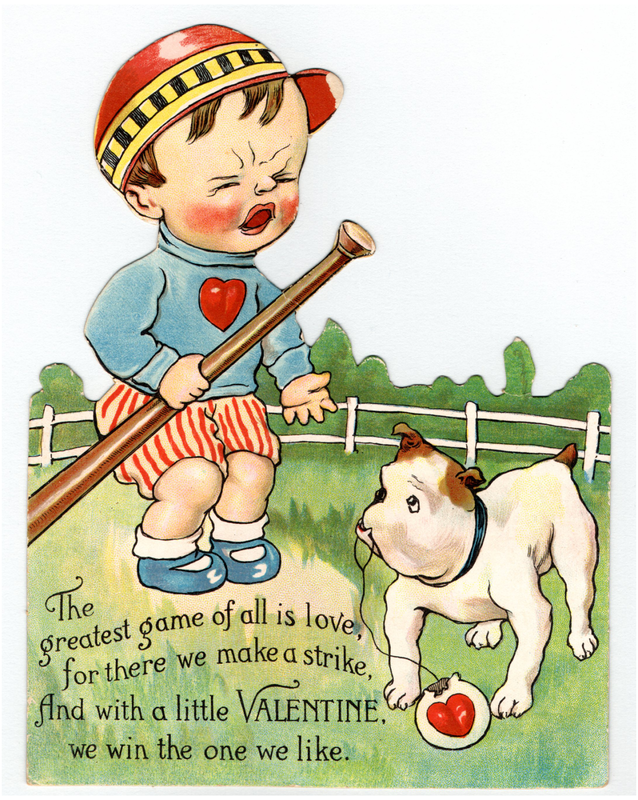 The Greatest Game of all is Love for there we make a strike, And with a little Valentine, we win the one we like. 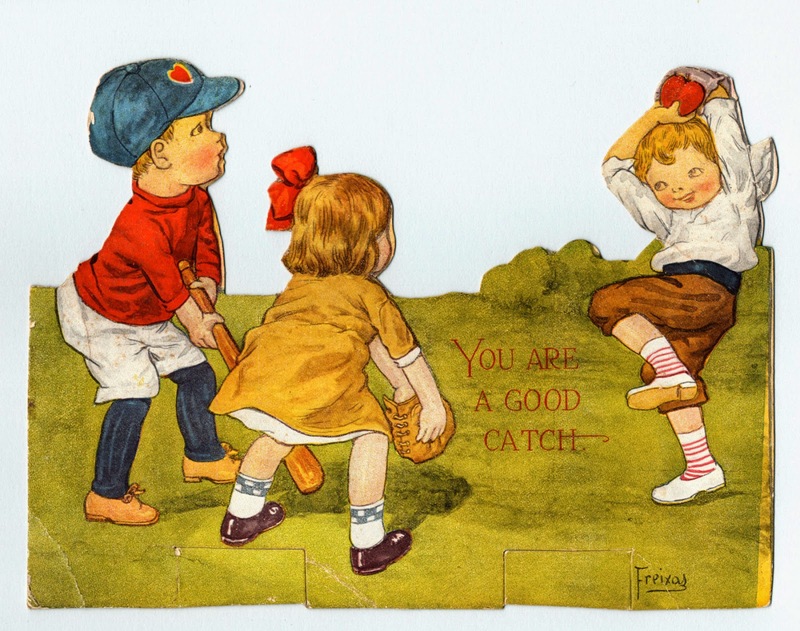 Some of the cards to be found with recognizable Frexias children were created by unknown publishers, who lifted bits of work by him and other artists like Frances Brundage, to use in their own cards. Usually the print and paper quality will be diminished on these. This practice, while dubious, was not uncommon among small publishers in the early part of the 19th century. 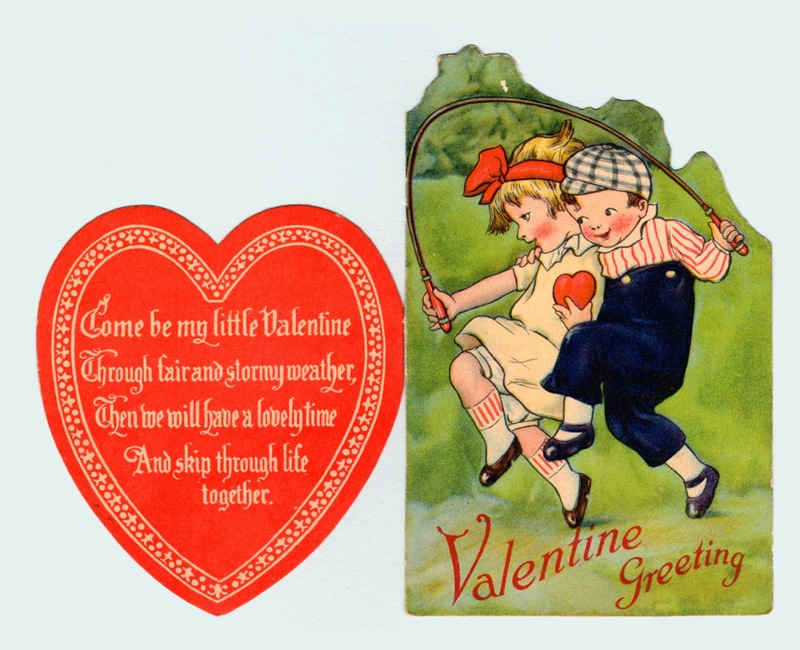 Come be my little Valentine Through fair and stormy weather, Then we will have a lovely time And ship through life together. 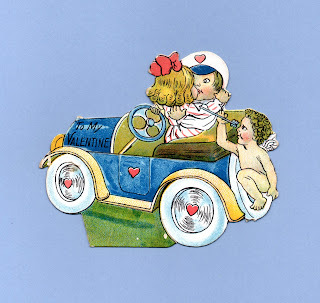 Valentine Greeting. When looking for his work, be aware of the variations on the spelling of his last name out there. I have written it as appears on my signed cards. It is spelled differently, changing the placement of the vowels, in some source books. 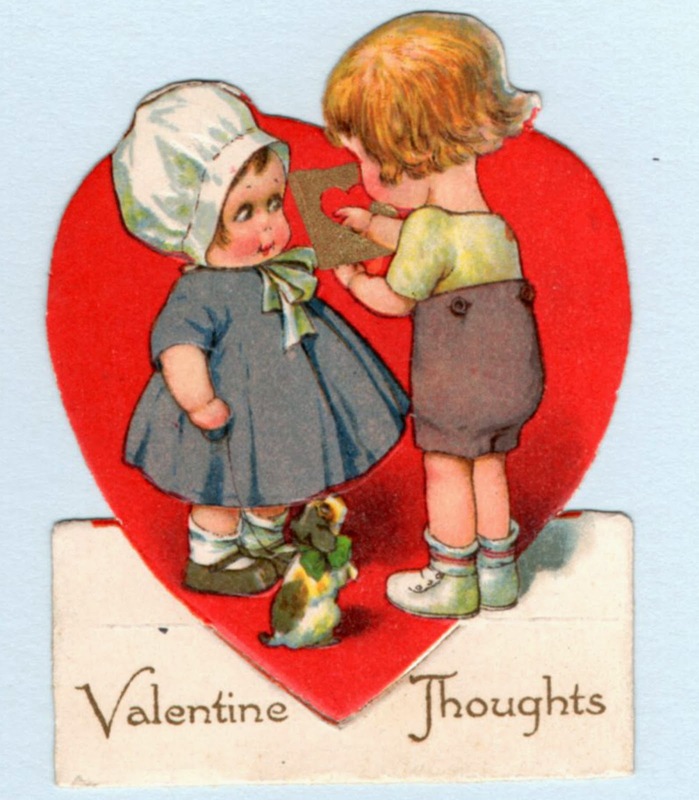 Lovely Maid, I jest can't say what I want to this Valentines Day. 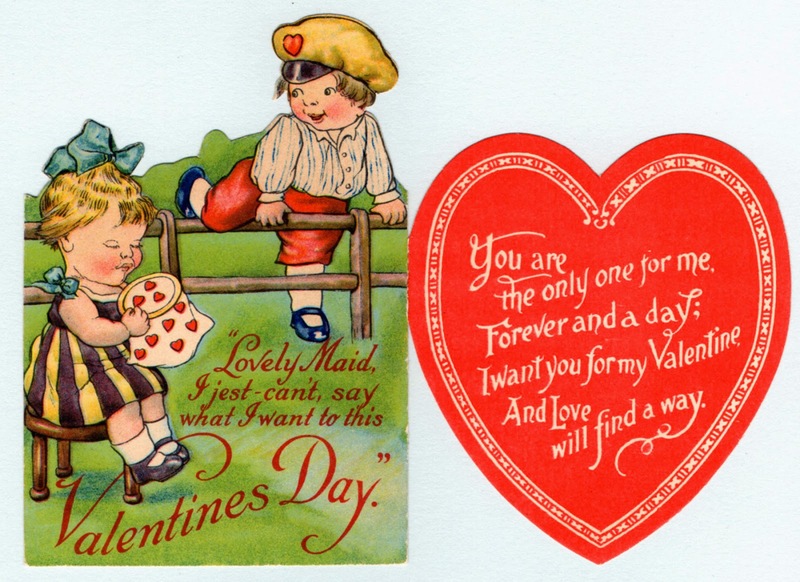 You are the only one for me, Forever and a day; I want you for my Valentine And Love will find a way. 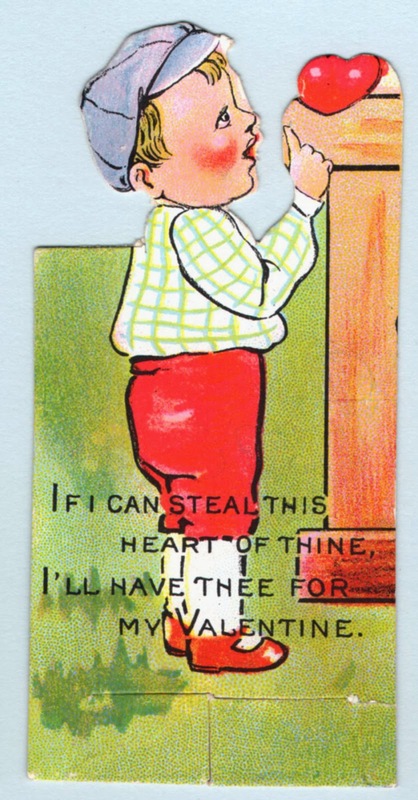 If I can steal this heart of thine I'll have thee for my Valentine. 2 1/4" x 4 5/8"
Equal Franchise No Votes No Hearts Votes for Women(on the bench) Sweetheart, I cannot keep away, this love of mine is true; My passion is most marked, Because I have designs on you. Dear Valentine My heart you find, for cupid steals a ride behind. 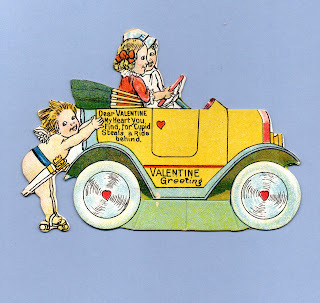 Valentine Greeting. 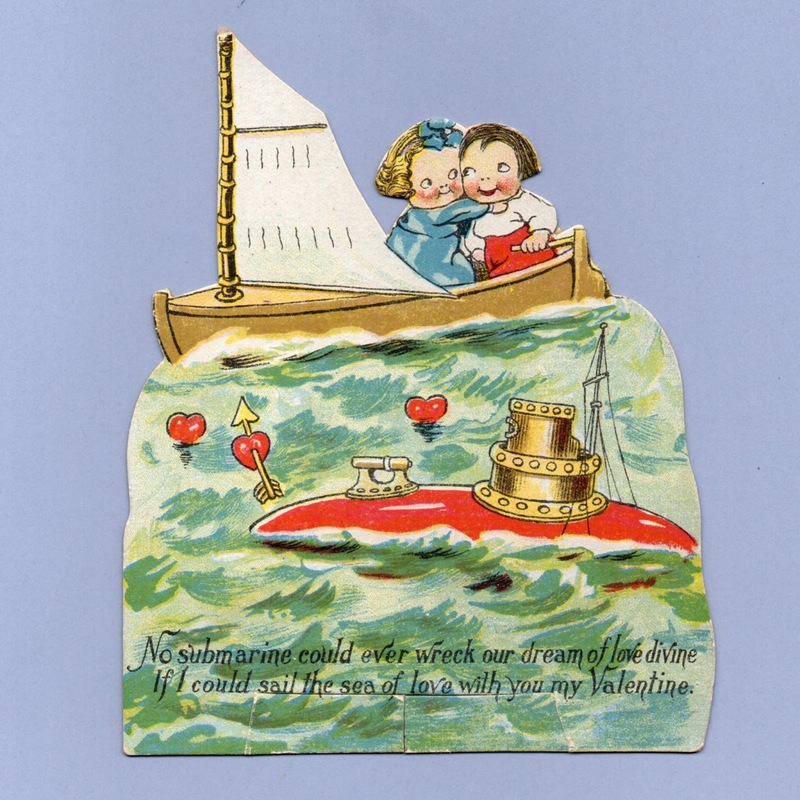 4 7/8" x 3 5/8"
No submarine could ever wreck our dream of love divine If I could sail the sea of love with you my Valentine.